That Delivers Results. Every Day. Partner with Hooper Handling and you partner with a company that has over 50 years of proven success developing strategic material handling solutions that will increase supply chain efficiency. Our goal is to deliver continuous improvement in supply chain management, and our customers understand that efficient material handling is the key to the success of their warehouse and distribution operations. To consistently improve their processes, our customers rely on Hooper Handling’s expertise to develop and deploy proven solutions that reduce operational costs and boost productivity throughout their facilities. Our customers partner with us because we understand that materials handling is much more than just "handling materials." We have spent thousands of hours in dozens of different types of facilities in a range of industries – with the critical result being that we have acquired industry-leading knowledge about customer processes and expectations. Hooper Handling is dedicated to understanding every facet of our customers’ business and of their specific responsibilities, goals and challenges – so that every recommendation is precisely configured to produce the results they demand. This is a strategic approach we call CustomCare™ and it produces dividends for every one of our customers. 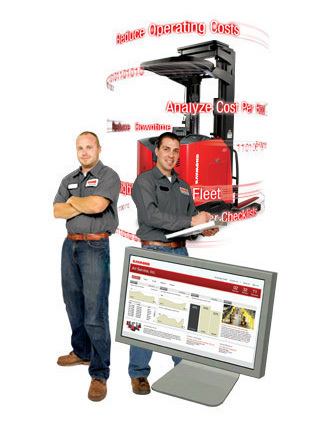 The complete portfolio of Raymond electric lift trucks, the only line that achieves the ultimate balance between energy efficient engineering and productivity to dramatically increase performance. A diversified range of systems integration, storage and allied solutions products and / or partners that can be applied to satisfy your exact needs. The only suite of customized fleet services programs that enable customers to reduce overall operational costs by up to 25%. The most comprehensive and recurring lift truck operator and customer technician training programs that establish organizational benchmark safety and performance standards. 24 / 7 / 365 parts and service programs that increase uptime and keep your operations running at peak efficiency. Flexible financial merchandising strategies for all of your lift truck lease, rental or purchase needs. 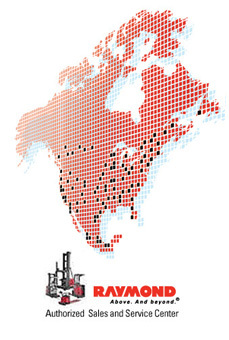 Hooper Handling is also a Raymond Authorized Sales and Service Center, the industry’s only 100% integrated network of material handling solutions experts, which collectively operate over 100 strategically located facilities across North America. Through this exclusive relationship, Hooper Handling is able to offer its customers the flexibility to grow or move locations nationwide and maintain the same high levels of sales, service and support they have come to trust from Hooper Handling. And because we are wholly integrated, we are able to consistently share best practices information and expertise across the network – which means you get the benefits of the skills, knowledge and experience of the entire Raymond enterprise – over 4,500 people strong. With decades of experience successfully satisfying our customers’ needs on a daily basis, Hooper Handling is the company you can trust for material handling solutions that will make a difference. For you. For your company. And to your bottom line.